I just got back from Lucca, a nice Renaissance town in central Italy where I attended the first two days of Lucca Comics & Games, Europe’s largest comics and games convention/fair (and the second largest in the world, or so they told me). I was there to present my own work – I did a Savage Worlds/Deadlands campaign book called Messico e Nuvole. 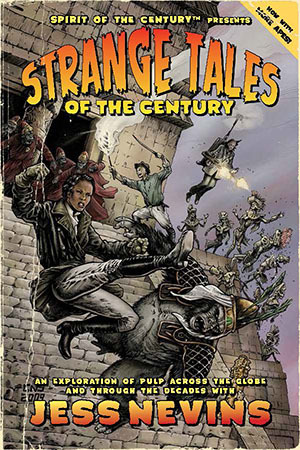 A little book that allows SW and Deadlands players add some more spaghetti to their western. And just as Italian directors took a skewed perspective on traditional westerns, I did take a skewed perspective on traditional Deadlands (a game I love). The end result will not be, probably, everybody’s cup of tea – but it’s all right like that. Anyway, the first two reviews have been spectacular, so maybe there’s more estimators of old Italian Westerns out there playing Deadlands than I thought. While I was in Lucca, I met a lot of good friends, and I had the pleasure of meeting Sebastien Ecosse, a wonderful artist (check out his blog!) whose great paintings make my book look like a million dollars. Also in the “great moments” category – I shared the same… ok, the same theater with Robert Crumb and Monte Cook. 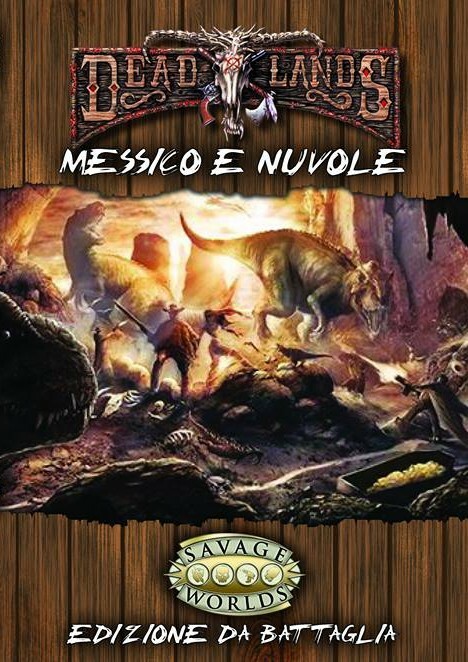 AND the Italian edition of the Savage Worlds rulebook, which I translated, won the Game of the Year Award. So, all in all, it was a swell two days. And I caught a few first class books, including a wonderful thing about pulp heroes written by the great Jess Nevins. I’ll review it as soon as I can. Coming back was not as pleasurable as being there – and this morning I almost got stranded in Viareggio, due to some train cancellations. But it was all right – sort of. Yes – excellent food, great company, and I don’t feel my legs anymore. But as a guy once said, what does not kill us, leaves us crippled and in pain. Categories: My Projects | Tags: Jess Nevins, Lucca Comics & Games, old and new friends, Robert Crumb, Sebastien Ecosse, triumphs great and small | Permalink. congrtaulations Davide Mana for the prizes et all! only…why while you were going to lucca, it was a medieval city, and coming back from lucca, it has become a renaissance city? your only presence made it leap forward one age? 🙂 just kidding. only to let you know how steadily and with attention i follow and read you.